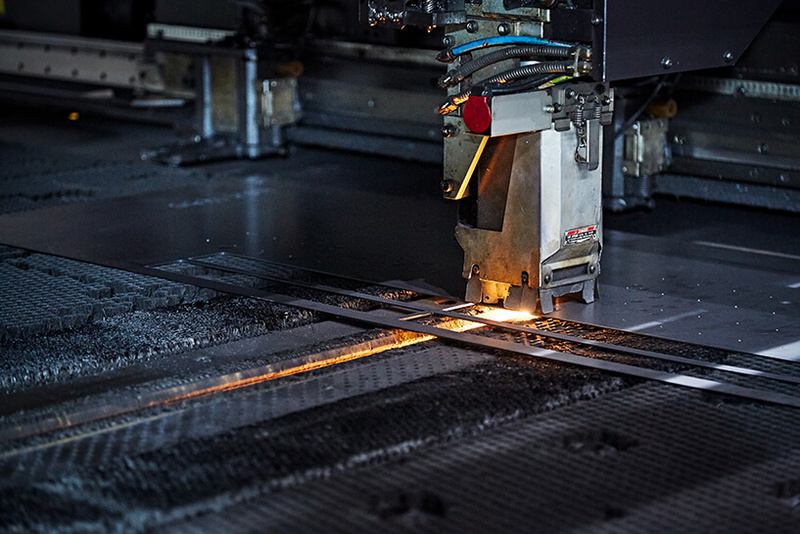 Laser Cutting Process - BLIKSEN CO., LTD.
Laser cutting is mainly for cutting the metal sheet and the shape specified by the drawing. The advantages of lacer cutting is less cutting burrs, less deformation and faster cutting speed. The range can be cut to include sheet metal parts with multi holes, machine tool covers, semiconductor equipment, sheet metal, etc. Even if the workpiece goes beyond the scope, BLIKSEN team can also ask support from our subcontractors. 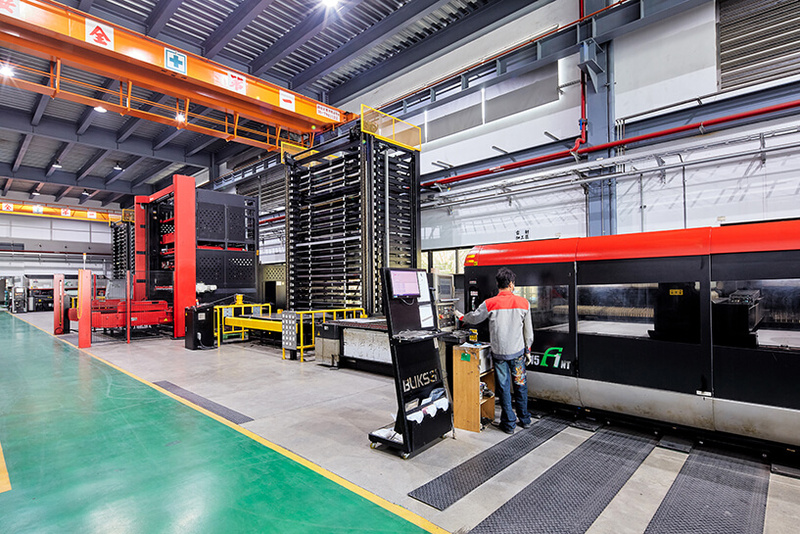 Storage rack and automatic loading and unloading:24 hrs and unmanned operation improves production capacity. 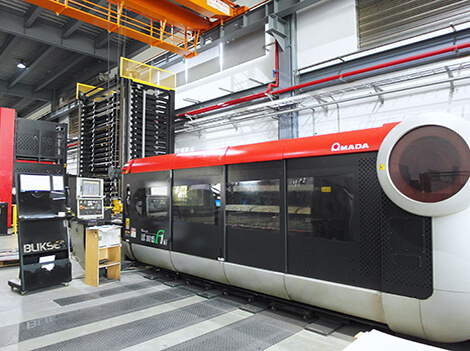 Fast cutting speed with optical fiber :2-3 times better than CO2 laser cutting (same power). Good at cutting sheet：fine cut surface and less burr. Suitable for cutting medium and thick plates. 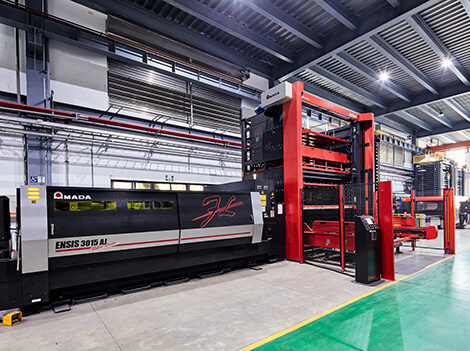 effectively shorten the processing time, to achieve high-speed perforation and high-speed cutting. 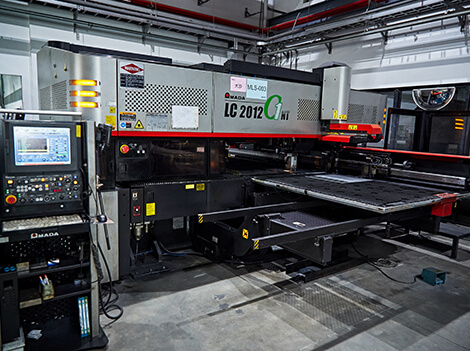 Laser, punching, tapping, and other complex functions, to process the workpiece with one machine. High-precision laser processing, so the workpiece will not enter the turntable to cause the back scratch.